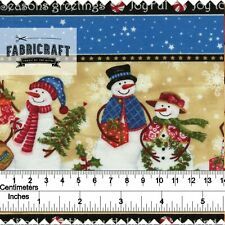 It is perfect for craft, quilting, and a variety of other applications. As with most craft/quilting fabrics it is folded along the length of the fabric. The fabric has been scanned to try to give an accurate representation of colour and scale of the design. It is carved onto the block by hand. The carved block is dipped into the required color. Cotton Thread count : 60 x 60. Item - 5 Yard Screen Printed Fabric. Fabric - 100% Cotton. Fabric : Light Weight. M aterial : Cotton. Due to the light and screen difference, the item's color may be slightly different from the pictures. Handicraft Palace. Item - 2.5 Yard Hand Block Printed Fabric. It is carved onto the block by hand. The carved block is dipped into the. designs and patterns on fabric, by hand. What makes block Printing unique. Handicraft Palace. Colors - Natural Vegetable Dye. Item - 5 Yard Hand Block Printed Fabric. It is carved onto the block by hand. The carved block is dipped into the. designs and patterns on fabric, by hand. Pattern - Abstract. It is carved onto the block by hand. The carved block is dipped into the required color. 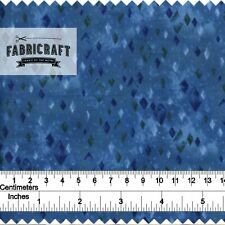 Fabric - 100% Cotton. Item - 2.5 Yard Screen Printed Fabric. Fabric : Light Weight. Cotton Thread count : 60 x 60. Pattern - Floral. Item - 2.5 Yard Screen Printed Fabric. It is carved onto the block by hand. The carved block is dipped into the required color. Fabric - 100% Cotton. Cotton Thread count : 60 x 60. Main Color - Peach Base on White & Multi-color. It is carved onto the block by hand. The carved block is dipped into the. Item - 1 Yard Cotton Fabric. Fabric - 100% Cotton. designs and patterns on fabric, by hand. Pattern - Floral. © PALACE OF CRAFT. It is carved onto the block by hand. The carved block is dipped into the. designs and patterns on fabric, by hand. What makes block Printing unique. Item - 2.5 Yard Screen Printed Fabric. After it is dyed in Indigo, all the stitches are removed and the pattern is revealed. It is a repeat pattern but contains random markings making it truly one-of-a-kind. The Shibori Collection celebrates the surprise and variation inherent in the dyeing process. Pattern - Floral. Item - 1 Yard Cotton Fabric. It is carved onto the block by hand. The carved block is dipped into the. 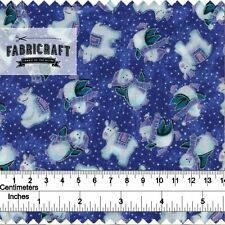 Fabric - 100% Cotton. Cotton Thread count : 60 x 60. designs and patterns on fabric, by hand. It is carved onto the block by hand. The carved block is dipped into the. Item - 1 Yard Cotton Fabric. Fabric - 100% Cotton. designs and patterns on fabric, by hand. What makes Screen Printing unique. Multiple quantities will be cut as one continuous length. 100% cotton. It is carved onto the block by hand. The carved block is dipped into the required color. Wash instruction - Hand wash in cold water. Material - 100% Cotton Fabric. Weight - 80 Gram in one Yard light weight. Pattern - Abstract. Item - 2.5 Yard Screen Printed Fabric. It is carved onto the block by hand. The carved block is dipped into the required color. Fabric - 100% Cotton. Cotton Thread count : 60 x 60. Item - 2.5 Yard Hand Block Printed Fabric. designs and patterns on fabric, by hand. What makes block Printing unique. It is carved onto the block by hand. The carved block is dipped into the. Fabric - 100% Cotton. Indian Cotton Fabric Sewing Printed Dressmaking Material Supply By The Yard"
This Hand Block print cotton fabric. The Dressmaking Cloth fabric is print by Vegetable dye. 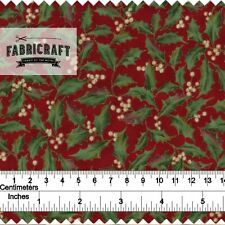 T his is Such a Festive and Beautifully Block Print Pattern Fabric. 100% Cotton Fabric is Printed With a Carved Wooden Block to Make The Repeating Blocks Pattern. It is carved onto the block by hand. The carved block is dipped into the required color. Item - 5 Yard Screen Printed Fabric. 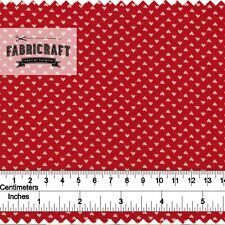 Fabric - 100% Cotton. Cotton Thread count : 60 x 60. Fabric : Light Weight. Pattern - Paisley. Main color - Turquoise Base on Multi. It is carved onto the block by hand. The carved block is dipped into the. Item - 10 Yard Hand Screen Printed Fabric. Fabric - 100% Cotton. Cotton Thread count : 60 x 60. Main color - Indigo Blue. Pattern - Abstract. Cotton Thread count : 60 x 60. Item - 1 Yard Cotton Fabric. It is carved onto the block by hand. The carved block is dipped into the. Fabric - 100% Cotton. Cotton Thread count : 60 x 60. It is carved onto the block by hand. The carved block is dipped into the. designs and patterns on fabric, by hand. What makes block Printing unique. Item - 10 Yard Screen Printed Fabric.